Commercial "catio" enclosures, components, cat-proof fencing, fence toppers and kennels can be expensive. 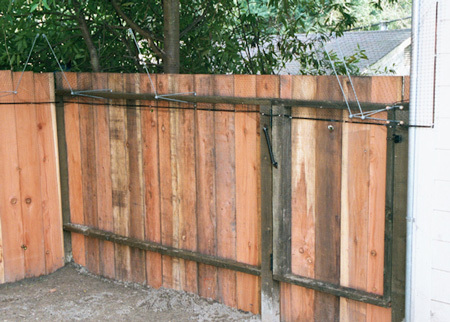 Even many DIY projects require materials and tools. 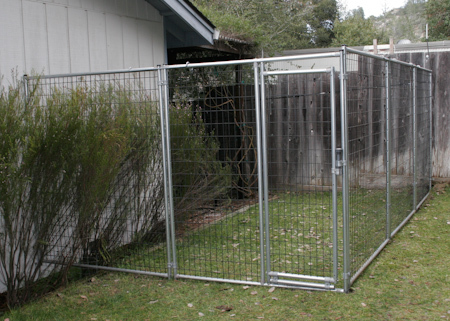 Many loving cat owners don't have the resources or technical ability to construct elaborate outdoor safety zones for their four-legged feline family members. Raise or convert your cat as an indoor-only cat. 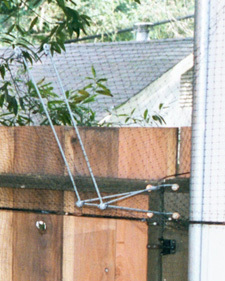 This is of course, the least expensive way to protect your cat from outside dangers. 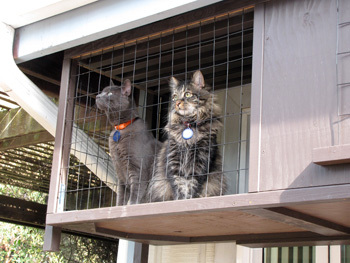 There is a common perception that cats must live outside in order to be happy. 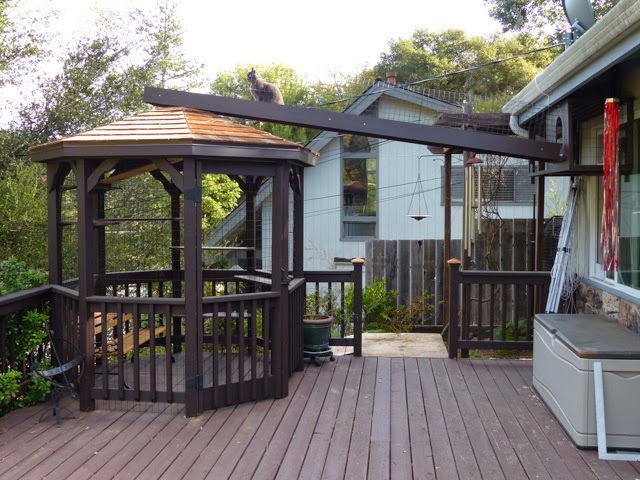 Cats can be perfectly happy in an all-indoor environment but there are some caveats. 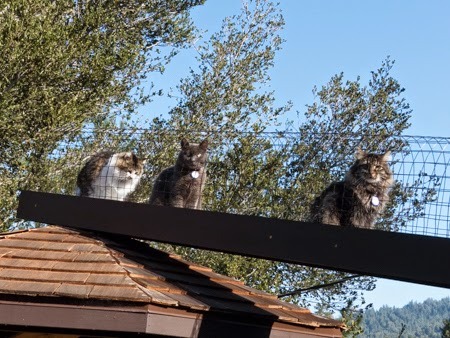 A single indoor cat will be much easier to manage than multiple indoor cats. Indoor cats may require more interaction, playtime and attention from their owners, in addition to the use and inconvenience of litter boxes. You will need at least one scratching station for each cat to keep your furniture in good condition. Basic scratch boxes, posts and similar commercial products are fairly inexpensive. Cat toys and such, but you don't actually need to buy anything. There are plenty of items around the house which can be made into cat toys. Our cats are perfectly fine with a wadded up ball of tin foil, or piece of cardboard hanging from a string. Cat grass as a dietary supplement. 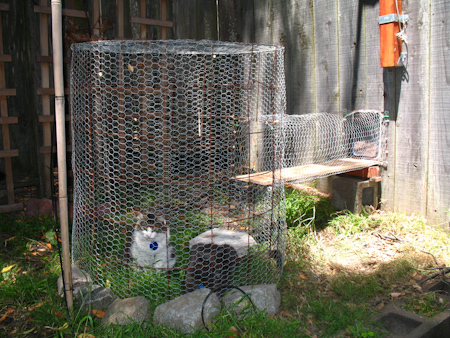 Build a small outdoor "safe area" out of scrap wire fencing and chicken wire with a connection (kitty door) to your home. 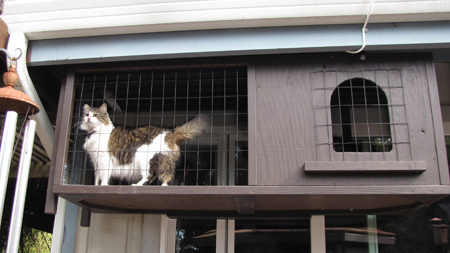 I have also reviewed several commercial products that allow your cat to roam outside in the safety of your own yard. 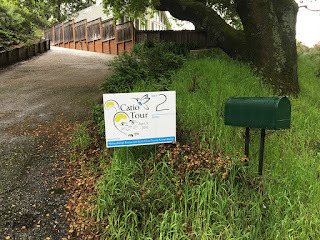 The review is a bit old but these products are available and there are quite a few options if you do some web searching. 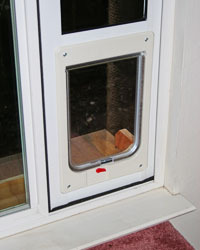 For a long time I was looking for a good-looking locking pet door that would work with a horizontal sliding window. 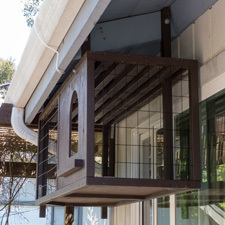 I had seen the kind that installs in full-sized sliding doors, but hadn't ever seen one designed specifically for horizontally-sliding windows, which are similar to sliding glass doors, but smaller. I discovered this item while I was shopping for an electronic pet door for another purpose. This product is a made-to-measure insert which lets you easily install a pet door in the window frame in a horizontal sliding window. I already had built a plywood structure for a smaller cat door, but it was ugly and drafty. This product seemed like a much better solution. The cat door was larger than the one I was using, so our older cat would be able to use it more easily, it provided a two-way locking mechanism so the cats could be locked in or out, it looked very functional attractive. It was available in two colors, I chose white and placed my order. It arrived in perfect condition. 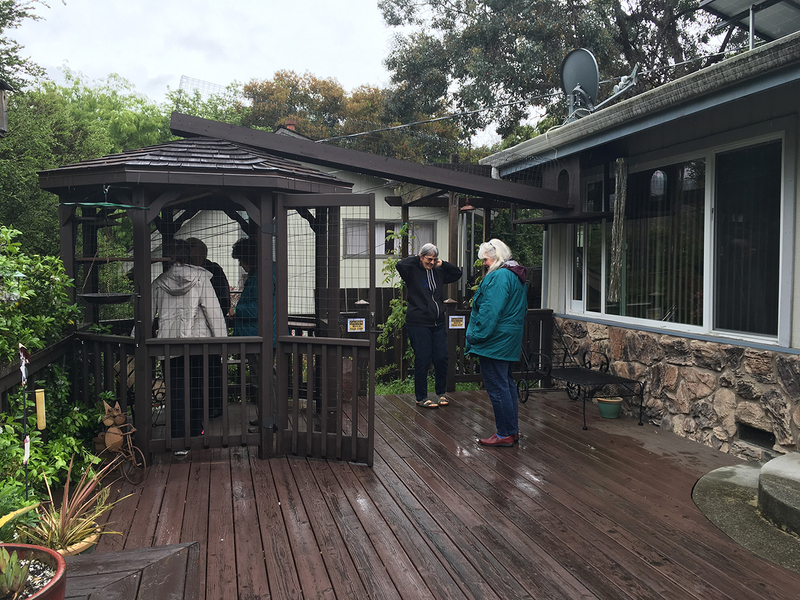 The built-in window pane is glass and the construction is aluminum, very well-made. It also includes some weather stripping, a security lock and good instructions. I removed the old home-made plywood insert and installed the new insert in the window frame. I had to use weather stripping on both sides of the insert, so the weather stripping that came with the product was about 1/2 of what I needed. Fortunately I had some lying around the house. 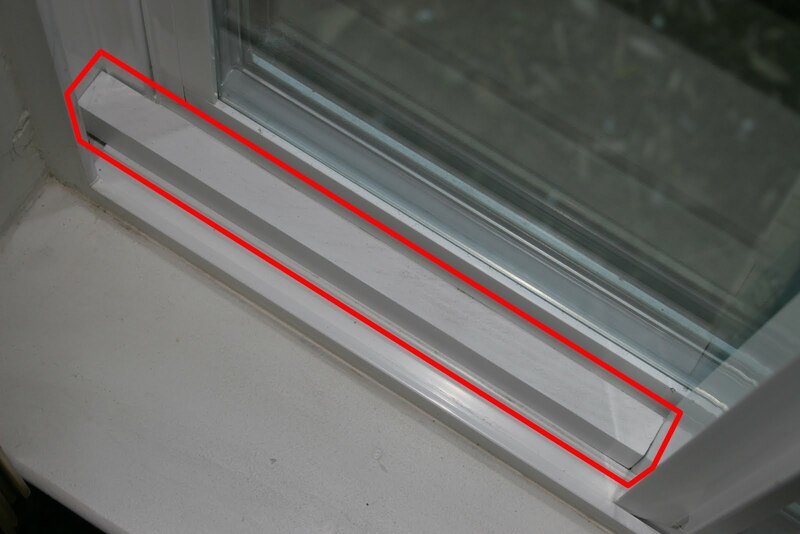 To secure the sliding window up against the insert and to prevent being able to open the window from the outside, a block-type lock is provided which requires that you drill a hole in your window frame. I opted to cut a piece of wood to drop-in between the left side of the window frame and the right side of the window slider so I wouldn't need to drill into my window frame. We've been using this product for about two weeks now and it is working perfectly. It looks good, is secure, and weather-tight, and lets more light in becuase of the glass pane above the pet door section. 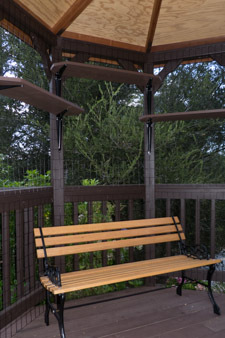 I highly recommend this product to anyone wanting to control their cats in and out access through a horizontal sliding-window and maintain an attractive look.